i thank you trueswords! this katana swt is amazing! it was worth the wait (took like a week). the bades are pretty sharp and the right weight. i accually thought that they would be smaller! this was my second buy, and i'll definately buy from trueswords more. I ordered this set for my fiance' for a Valentine's Day present and I have to say, this being my first purchase from True Swords I am thoroughly impressed and will be ordeirng from them again. The swords came within two days of when I ordered them and they came in brilliant condition. A little oily and hard to open at first, but I wiped them down and wrapped them back up and gave them to my fiance'. He was very happy with his gift and I am very happy about this order. My first purchase from this website :D Just got 'em today and I love them! Definitely gonna order from here again. I just got this set today and it is awesome! My dad broke the stand trying to put it together... 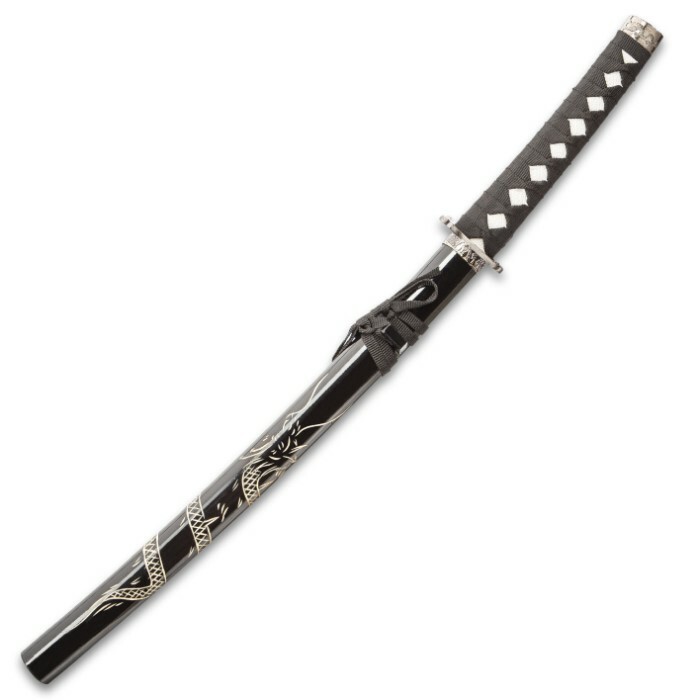 This is my first store/online bought sword. The Wakisashi cut a water bottle right in half! 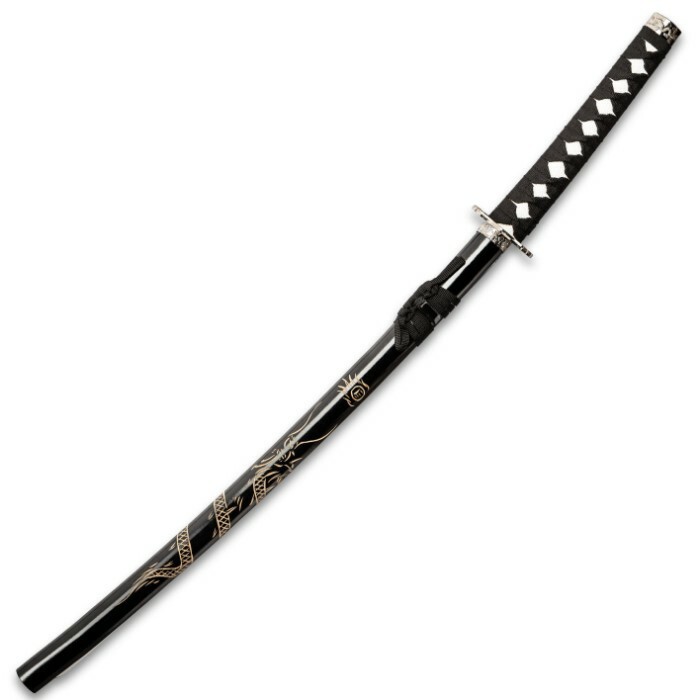 I have a Naginata with the same exact design. I recommend this to anyone with a passion for swords! Pretty sweet starting set. These are more for display but the tips are very pointy. There were a few dents on the scabbards but overall it was a good buy. I LOVE THIS SET!!! 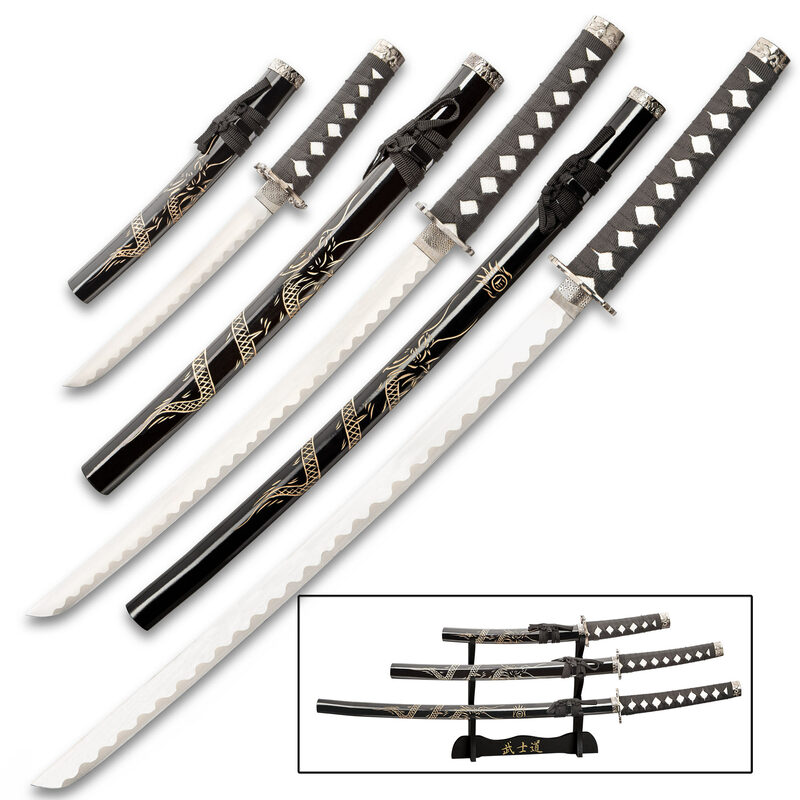 The swords are beautiful and look great together!! !